During my research on John Murdoch, I came across a statement in a book which mentioned that Murdoch had been backed by an East coast firm when he set up his company in St. Louis in 1838. It went on to say that when the East coast firm failed, it took Murdoch's company down with it. 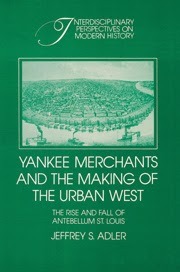 The book, Yankee Merchants and the Making of the Urban West, cited Missouri Vol. 37, p. 576 as the source of the information. Digging through all the citations in the back of the book, I determined that it referred to the R.G. Dun & Company Collection. R.G. Dun was the first successful commercial reporting agency in the United States, and it began in St. Louis. The firm later merged with J.M. Bradstreet & Company to become Dun & Bradstreet. It is unfortunate because it made sense to me that Murdoch was backed by someone else. 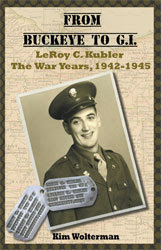 After all, he was only 24 when he arrived in St. Louis. 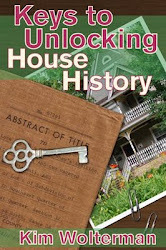 I think it would add to the story to know who that person was, and what became of him and his own business. But there is only so much time (and money) that I am willing to invest in the pursuit of that particular piece of information. The story will have to go on without it.